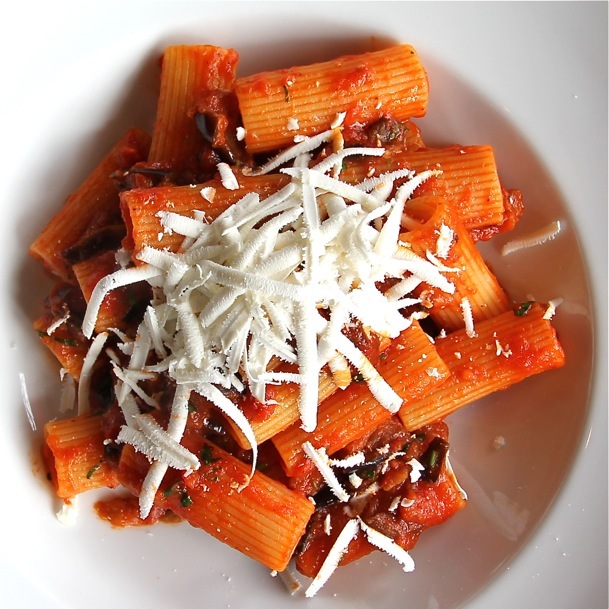 Looking for the best Italian food in Kitsilano? This might be it. As I returned home from a late lunch at Kitsilano’s newest Italian restaurant, The Bibo, I couldn’t resist cracking open my to-go box for several more titillating whiffs. The Bibo, owned by Andrea Bini and Lorenzo Bottazzi (the “bi” and the “bo” from their last names), say their motherland’s food is in their DNA. After sampling their fragrant Rigatoni alla Norma ($16), I was convinced this rhetoric must be true. The room felt Italian, with old men sitting around drinking wine, while another group stood at the bar chatting in Italian. Even the service was laid-back, as one might find in a typical trattoria. My bowl of steaming hot, tube-shaped pasta — tossed with salty, grilled eggplant — matched the ambiance in authenticity. Coated in bright red, house-made tomato sauce (exuding the telltale scent of a good olive oil), the rigatoni was finished with salt seasoned dry ricotta that was so fresh, even gentle ridges from its grating were noticeable. On my radar for next time: The Bibo’s Chocolate Pizza. This article was written for Metro Newspaper by contributing food columnist, Erin Ireland.